DC Bombshells is an alternate reality where the female superheroes guard the homefront during WWII. 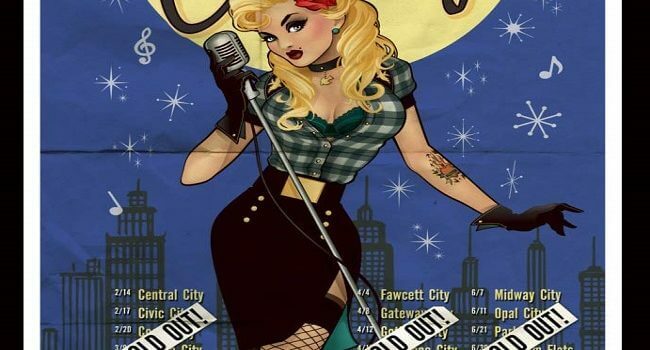 Black Canary is a nightclub singer modeled after the pinups of the 1940’s. 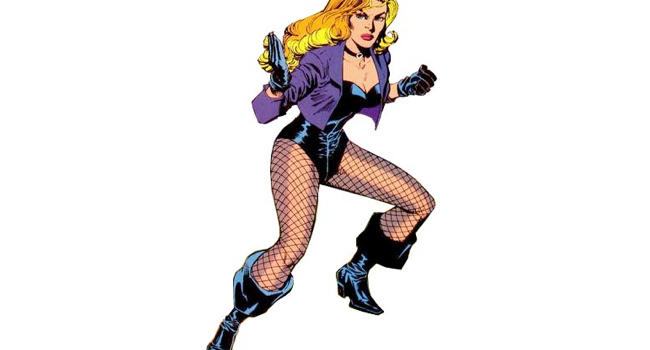 The Black Canary’s fighting skills must be impressive if she’s able to defeat criminals in fishnet stockings. Having a Sonic Scream probably helps. Real name Dinah Drake, she’s also known for being a part of the Justice League and for being romantically involved with the Green Arrow.